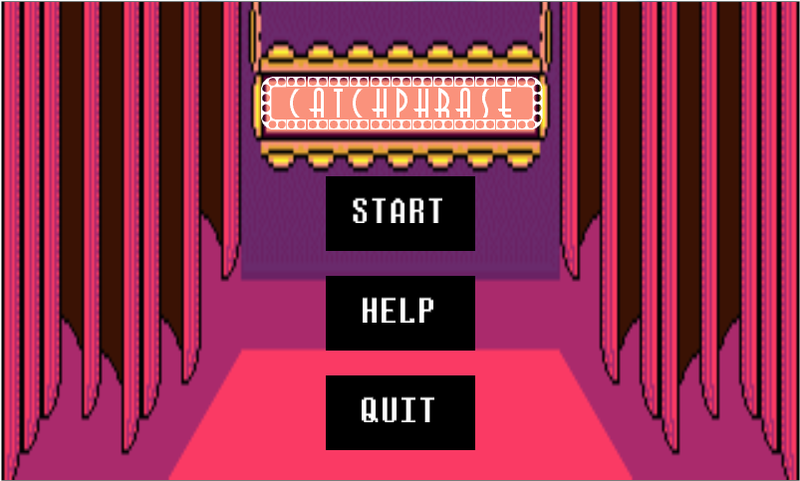 Catchphrase is a dialog-driven comedy game made as a research project for Fall 2012 at Stony Brook University. 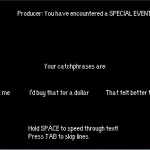 In Catchphrase, you play as an actor on a sitcom who is missing his lines. 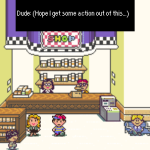 You act out various scenes with your fellow actors until it comes time to choose the right line (your Catchphrase)! 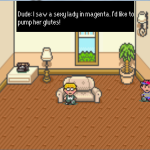 The audience then reacts to the Catchphrase judging it based on how well it matches the scene. If they don’t like it, your ratings take a big hit and fan viewership goes down. However, choose the right one and your show will be a big hit in no time! 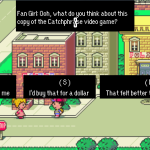 Also, during the game you run into a fan during a chance encounter, which can also help your viewership. Sound good? Download link below! 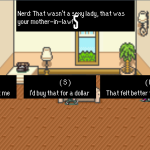 Choose the right Catchphrases for each situation! Special encounters with a fan! 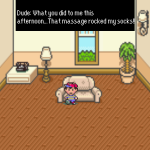 Follow prompts to install Catchphrase. (If you really wanna…) To Uninstall, remove in Add/Remove Programs.